Building green affordable housing can be more cost-effective than building traditional affordable housing. Green developments involve government officials and neighbors early in the process, which can lessen their resistance to new methods and designs and can speed the review process. Integrated design serves up savings. Making your whole building efficient is just one component of integrated design, the foundation of high quality green building. The other major bonus is getting your whole team to sit around the table and hammer out the design and its execution. First, the team figures out how all of the building systems can work together to deliver the best project. That alone saves money. Second, when the architects, engineers, and contractors establish good working relationships early, construction goes more smoothly. You avoid costly change orders and call-backs. A commissioning agent helps to ensure these up front savings, as well as the long-term savings that result from a building that lives up to your green design. An efficient building envelope is the hallmark of good green building from an energy efficiency perspective. 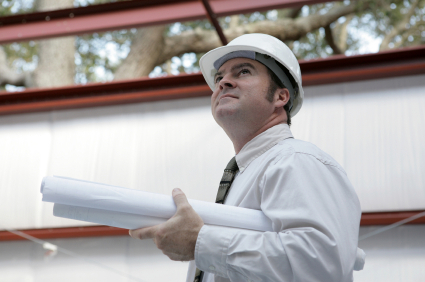 The building envelope is also one of the more costly components of your building. Energy efficient lighting fixtures can cost more than conventional fixtures. So do extra insulation, energy modeling, and high-performance windows. But that modeling helps you heat your building with the sun in the winter. Those windows and insulation and lights reduce cooling costs in the summer. This, in turn, allows you to install the right size--and often smaller--HVAC system and save money overall. Resource efficient materials are cost-efficient, too. One affordable housing developer saved $24 per square foot by using structurally insulated panels (SIPs) that not only saved on materials but also cut labor costs and kept the project on schedule. SIPs, building dimensions that match standard lumber sizes, and your commitments to finding local sources of salvaged lumber and to training contractors in advanced framing techniques can all go a long way toward cutting costs. As your team gains experience with these green alternatives, costs fall further and you gain a competitive advantage. For example, as its market has matured, Seattle has seen the cost of LEED Silver buildings drop from 3 - 4 percent to 1 - 2 percent. This is emblematic of a "knowledge premium" that adds to the cost of a team's first green building but that falls significantly over time. Reduce waste and save space. Recycling construction debris is an easy way to save money while doing good for the environment. Some DC area contractors will even sort debris for you. Deconstruction, as opposed to demolition, can also yield valuable building materials that you can reuse or donate for a tax deduction. One architect reports savings of $20,000 and $30,000 from waste reduction efforts on a $2.5 million office building and a $7.5 million school, respectively. Perhaps the best way to reduce your development's ecological and financial impact is to simply reduce your building footprint. By grouping buildings and designing space-efficient green homes, you can save money in the short term and energy in the long-term while gaining valuable open space for the neighborhood. Work with government and neighbors. Take advantage of your green credentials as you improve your developments and their neighborhoods by planting trees and adding pedestrian paths. Meeting with community members and local government officials early in the design process ensures that you can work collaboratively with them for the best results. By proactively working to address community concerns, you can avoid delays in project approvals and opposition from neighbors. You will undoubtedly save time and money. Remember that not all initial cost savings lead to lower life-cycle costs. Integrated design and resource-efficient methods are the opposite of cutting corners. They require care and attention to detail that pay off in efficient design and construction. Green features like energy and water-efficient appliances can require a greater investment upfront and save money down the line. It is more difficult to quantify savings from measures that improve indoor air quality, although new studies are analyzing the related health impacts. Look for government rebates to help pay for these improvements. By balancing savings in one area with investments in another, you are able to meet environmental, social, and economic goals within your affordable housing budget. 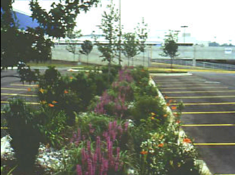 Alternative stormwater treatment saves over $10,000. Prince George's County, Maryland - This five-acre parking lot has a new friend--a half acre of grasses and reeds that treat the stormwater runoff from 10 percent of the asphalt. At $4,500 in landscaping costs, the plants not only saved $10,500 to $15,500 upfront, but will cost less to maintain for years to come.